I have never caught every single Pokémon in any game throughout the entire series. I sort of feel like I’m coming out of the closet again saying that. I know it’s the case for many people, but it still feels like I’m admitting to some wrongdoing of mine. As if some tribunal will come down on me and slam a gavel, leading to a door underneath my feet falling open as I plummet into a dark pit filled with Mr. Mimes. Well now you probably won’t sleep as you imagine that scenario. Don’t worry, neither will I. Why do I feel this way? 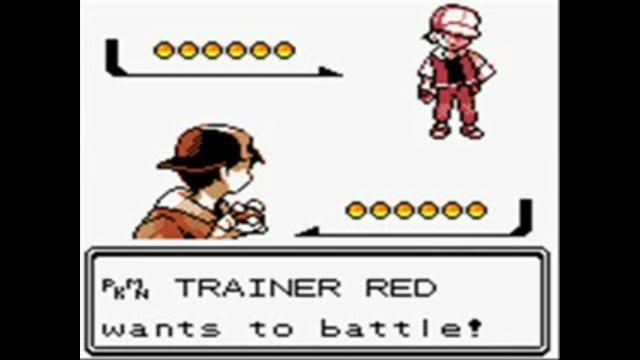 Let’s take a tumble through the overgrown fields of my memory, specifically the year Pokémon Red/Blue came out. I was seven years-old, in Year 2 at Primary School, and I needed this game. I really don’t know why. The cartoon wasn’t out yet and my gaming experiences at that point were all about Tetris and Super Mario Land. However the other kids were excited, the monsters looked cool, the ads were flashy, and finally it would be a game I could play with others. And actually play with them, at the same time, none of this pass-the-Game Boy around business. Either way, when it came out I launched right into Pokémon Blue with abandon, arming myself with a Squirtle and a bright future ahead of me in the tall grass. Then our dalmatian at the time either devoured or buried my game cartridge; it’s still a cold case to this day. So my mum gallantly bought me a copy of Pokémon Red and my journey resumed. It was a brand new world, both inside and outside of the pixels. I was learning what exploration means in video games, as well as puzzle-solving, role playing strengths and weaknesses, as well as some semblance of story telling in this medium. At school it was also a very exciting time, as a group, we were furiously figuring out every aspect of the game and every day, at least one of our numbers would excitedly sprint into class with backpack barely clinging to their shoulders and tell us this brand new thing they found in this cave, or this route, or this town. I can still fondly recall all of the urban legends surrounding the game as well, with the glitched-out “Missingnos,” The garbled data of scrapped Pokémon the developers failed to extract before release, leaving us stumped as to what these ghastly things were. There was also “Bill’s Garden,” a supposedly secret area behind a building that was filled with rare Pokémon. 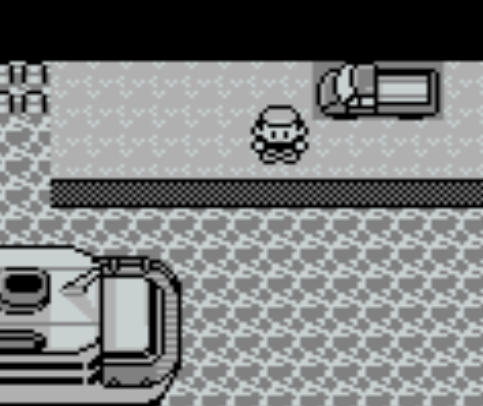 The most infuriating one had to be the infamous S.S. Anne Truck. This truck was parked next to a cruise ship in the game which could be moved at a specific angle to reveal a special item. Aside from the Missingnos, all of this was just rumour and imagination, that didn’t mean it wasn’t real for a very specific part of our lives, though. Eventually the cartoon came out, the movie followed soon after, then came the collectable cards, Pokémon Pinball, Pokémon Snap, and then Pokémon Gold/Silver was released, and I grew up. I left it at that, I had moved onto things like the Halo and Call of Duty and Zelda franchises. It wasn’t just the fact that I felt like I had somehow “matured” out of Pokémon. It was also that the games always felt stagnant, the mechanics were either too similar or way too jarringly different, and I lost interest in the designs of the monsters themselves. My time with it was over, or so I thought. I later picked up Platinum when I was much older, and I liked it well enough, but it was merely a stepping stone to the true goal: Soul Silver. The re-releases had never quite interested me before, but Silver had been my favourite installment and from what I saw, I needed to see the new and improved version. It was love, once more. I began trading with friends, battling them, rediscovering what made this game such a foundation in my life. All of my favourites were in this generation: Ampharos, Lugia, Cyndaquil, Feraligatr, Scizor! The gang was all here! Later on Pokémon Black/White scratched the itch, but it was a dip down from the high that Soul Silver provided. There was no Pokeball-making process, the gyms weren’t as memorable, and it’s online component was severely lacking. 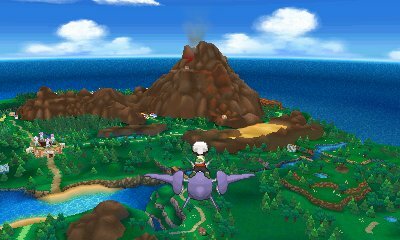 Then with Pokémon X/Y it was back on, with customisable trainers, a new truly 3D-perspective, Pokémon I was interested in again, and way more online functions. I was sucked back in and for a year I was back to collecting toys, hunting down rare Pokémon, and following every update. Now with Alpha Sapphire/Omega Ruby I find myself stuck again wondering if I still am into this series, wondering if it’s me or the games. For probably a lot of you, the past few paragraphs have been gibberish. 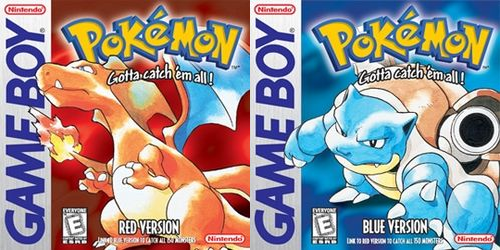 A whole generation grew up with Pokémon from the start, and several more after have been introduced to it, however I realise that there are many older than us who have never touched a single game in the franchise. From those people I tend to hear the same questions: Why is this so important? Why do so many love it? What’s the point of the story? Why do you still play it? Strangely enough, I’ve started asking myself some of these questions, and really a lot of it comes down to one thing: community. This game lives and dies by how many other people you know are playing it. It relies so heavily on the culture of group obsession and problem-solving and competitiveness. A lot of people have never even heard of those urban legends I mentioned, or the sheer level of excitement each school day brought simply so you could see your friends and collaborate during every minute recess and lunch allowed. Surprisingly I’ve still found that same level of community in even tiny numbers as I’ve grown older with the series. I played Soul Silver so that my best friend and I could relive our memories of competing between Gold/Silver and it spurred on my playthrough of it. Then with Black/White I found myself playing with my nephew who had only just started, a truly surreal experience as I felt like I was watching a younger version of myself fall down the same rabbit hole. Then with X/Y and now Alpha Sapphire/Omega Ruby I’ve discovered the partnership of teaming up and against my girlfriend, especially the trials and tribulations of out-levelling and outsmarting your own significant other. Not to mention the countless friends I’ve made online who I can play these games with. This feeling is starting to wane, though, and frankly it scares me a little. I don’t play hide and seek any more, I’ve moved on from colouring books to using a tablet, and I don’t dress up like a Power Ranger any more even though some days I kind of still want to. Compared to all of that, Pokémon has always been a constant, an anchor, the sun around which revolves my childhood interests that morphed into the tastes I have now. However I can’t deny that even suns die and blink out of existence into black holes, and I feel like Pokémon’s time for me is coming soon. For me it’s the mechanics, as it has always been. I feel like I’m stuck on a constant rollercoaster that refuses to let me off, confusing me with dizzying peaks that convince me to keep riding and then slamming me hard in the chest with plummeting lows that leave me frowning. I frankly don’t like the way Game Freak, the developers, handles each game. I’m definitely not saying I can do better, and I’m not indignant that they’re somehow tampering with something precious to me. It simply is how I’m left scratching my head about how each individual feature beyond the general skeleton framework in every generation of Pokémon is taken out, replaced, swapped back in, discarded, and never fully realised. Everything feels like a proven concept with no evolution. We had Pokémon following the trainer around as they explored in previous games, but then have had that feature taken out and never really explored further. The year before last, we finally had trainers who could be customised. We had dark-skinned trainers, clothing options, hairstyles, and a way for each player to show that off. Then it was never even considered for Alpha Sapphire/Omega Ruby due to the fact that Game Freak saw that as something unique only to the Parisian-inspired culture of X/Y. Now, with last year’s re-releases, we’ve gotten controllable flying and aerial exploration, and I just can’t get excited about that because I know it will either never be seen again or reappear in a diminished format. Maybe I’m overthinking it, maybe I am too invested. I feel like I should just enjoy each individual ride, for however long it lasts. Perhaps I’m stepping into territory that isn’t for me any more. These are ostensibly games aimed at kids, who will fade in and out of excitement much like myself as they grow up, so what’s a few features gone between generations. I suppose I am chasing something I can’t quite put my finger on, because I see a game with all of the things I yearn for: colourful and inventive designs, an expansive world filled with ridiculous possibilities, and plots that may be ham-fisted but discernible to younger audiences with good messages supportive mothers, friendship, and kindness to nature. I have a lot of these same criticisms and fears with other games, however with Pokémon it strikes a chord that’s much deeper inside me. I’m not worried the series will change and lose me along the way, I would be excited about that. I’m concerned that it will just forever carry on this cycle, however safe it may be for their business. I’ve always felt silly with how invested I get in things I see potential in, and it’s an even stronger feeling here because I’ve never completed a single game in this franchise. That in of itself might be a sign. What matters in the end, though, is whether or not it makes kids happy. My nephew was happy playing his first Pokémon game, even knowing what had been taken out. The games still provided joy and excitement and wonder, they still challenged him and gave him a taste of everything countless other genres provide. Plus, who am I kidding, I’ll still be buying these games and enjoying them on some level. They’re not perfect, they never will be, but they never were to begin with. These rose-tinted glasses are still firmly glued to my face, but I’m coming around more and more to the notion of taking them off fully one day soon. I won’t ever catch ‘em all. That’s the task some plucky kid will accomplish in the wee hours of the night, in bed pretending to be asleep. And frankly, knowing that warms my heart and convinces me things will be alright for another day, another generation. In my recent nostalgia kick, the feels for Pokemon did come flooding back. I’m not sure why, but I suddenly wanted a 3DS and Pokemon X/Y. 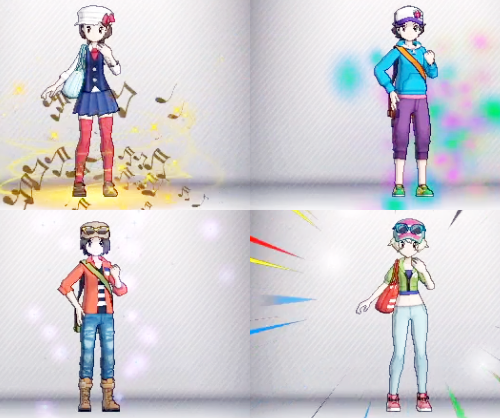 I’m glad you mentioned customisation wasn’t in Alpha Sapphire / Omega Ruby, or I’d have grabbed that thinking it was! I still have my copy of Pokemon Blue, complete with a GameShark-ed army of Mews. Bad Young-Lindsey, bad bad! Still, I can’t bring myself to start the game over again. *sniffle* Too many memories. Yes. The urges of return to childhood.